I think one of my favorite things about summer eating is firing up the grill and eating outside. I love the casual feel of a meal enjoyed outdoors. My kids can play on their jungle gym while I man the grill, and for some reason, the evening breeze always lures me to linger just a bit longer over my food than if I were sitting inside staring at my messy kitchen …go figure. Recently, a few friends and I gathered together for a grill out meal and we enjoyed it so much that I decided to recreate it for my family and then share it with all of you. This is quintessential summer meal for me–a fresh summer salad and a smoky grilled entree with a little appetizer to nibble on while everything cooks. I’ll be sharing these recipes in a three part series and hopefully you will be inspired to get out, fire up the grill, and spend a little extra time over a meal with some of your favorite people. In my opinion, a truly good meal is made even better with a little munchie you can enjoy while you cook. 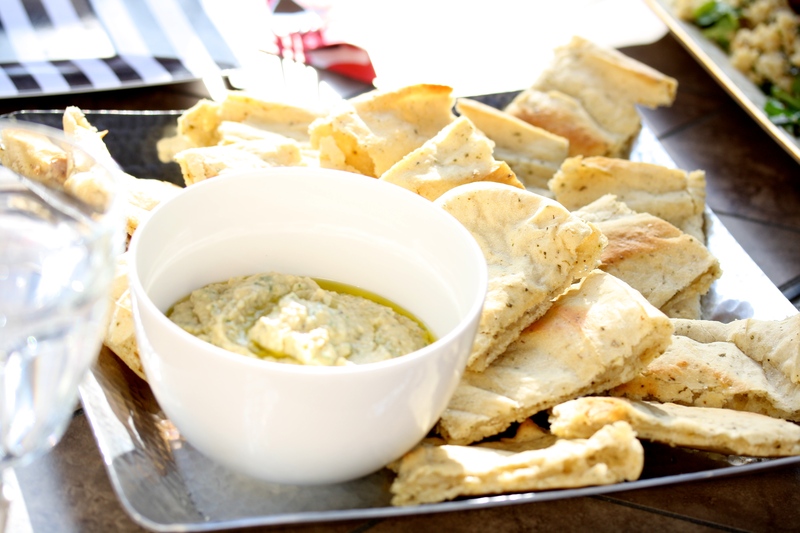 This Italian white bean dip hits all the right notes for me. It’s not overly heavy and the cool and creamy texture is the perfect accompaniment to warm pizza bread. If you want to be extra virtuous, you can definitely serve this with veggies, but if you’re throwing in a salad with the meal, I say go for the pizza bread! Prepare the pizza crust according to the package directions. If your mix is not already seasoned, I suggest adding 1 tsp Italian seasoning to the dough. While the crust is baking, place beans, garlic, lemon juice, parsley and Italian seasoning in the bowl of a food processor. Pulse together until ingredients are combined and chunky. Next, turn on the food processor and slowly drizzle in olive oil until mixture is smooth and well combined. If desired, drizzle additional olive oil on the top before serving. Cut pizza crust into small squares and serve warm along side the bean dip. Little Ben totally lights up my life and is such a bundle of joy. 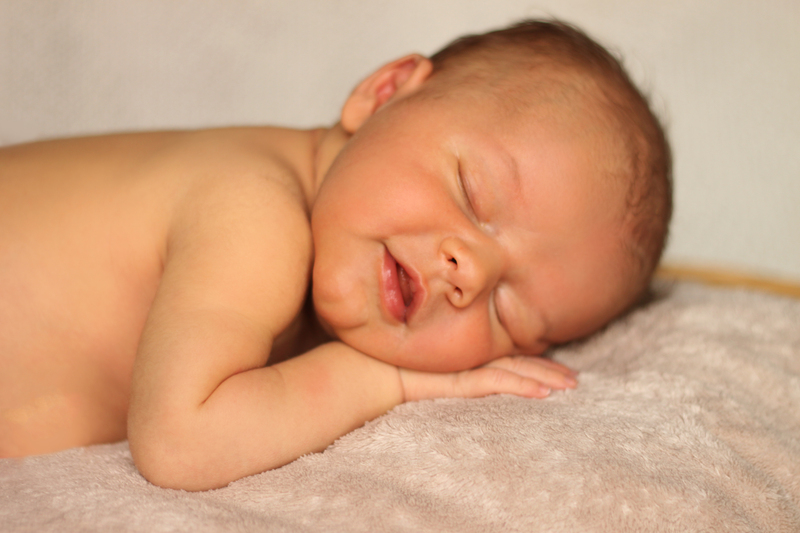 Our family praises God for such a precious gift and we are all totally in love. But, as much as I’d like to think you came to drool over the baby, I’m guessing you’re here for the food. So let’s talk cookies! Now and again I have a craving for a really good cookie. 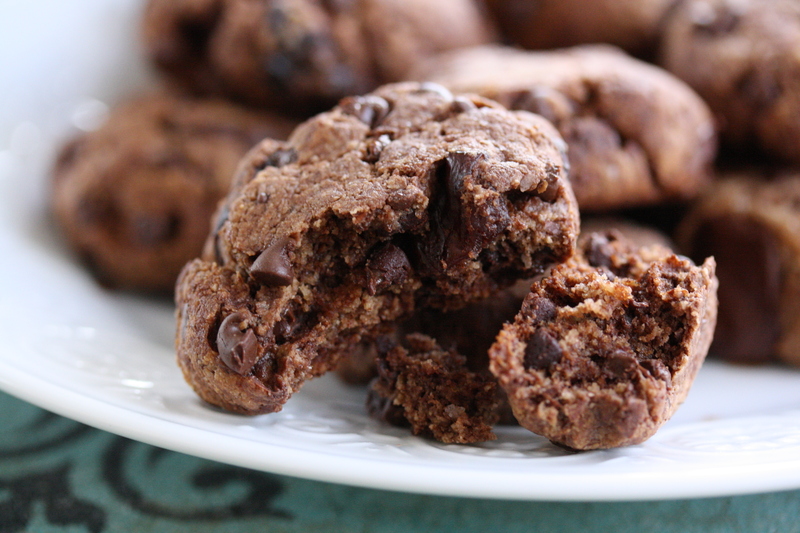 You know the kind I’m talking about…chewy, moist and loaded with chocolate. The problem is that most of the cookies I’ve tried that use gluten free flour have been sort of lackluster, dry and grainy. Little did I know that the secret to a delicious gluten free cookie was not to use flour at all! 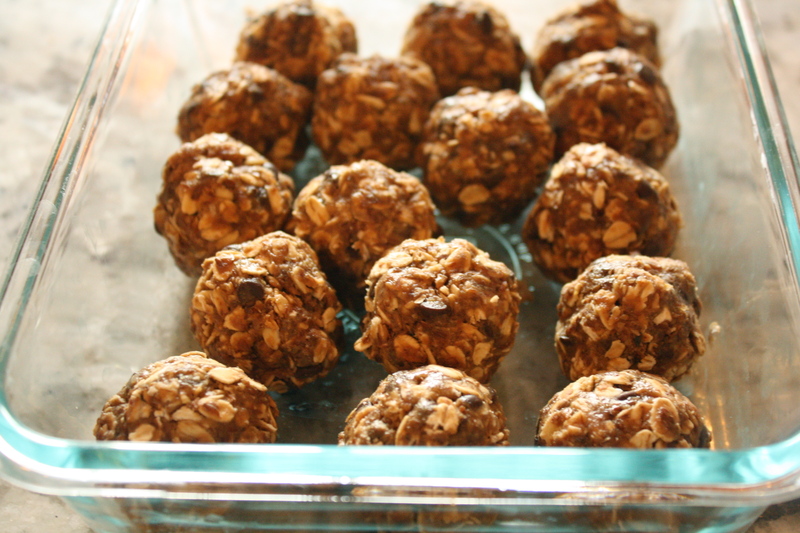 Instead, a base of almond meal creates a chewy and totally satisfying morsel of goodness. 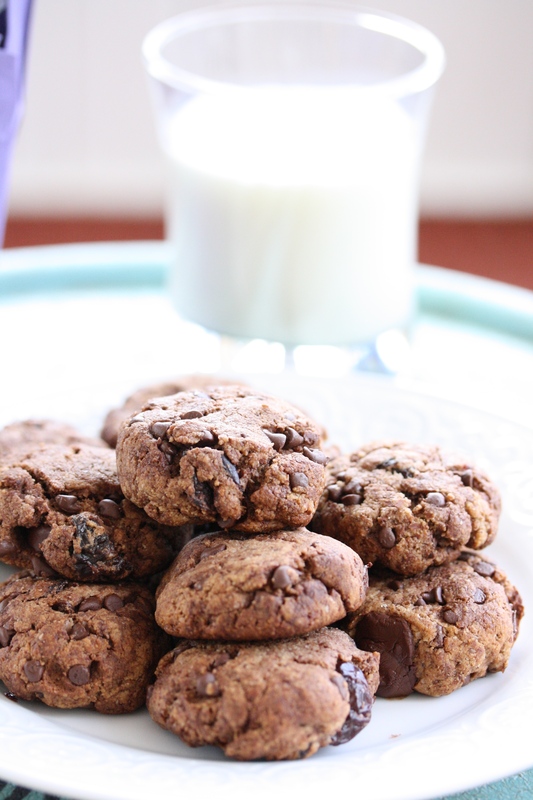 I’ve made these cookies twice and my kids loved them. 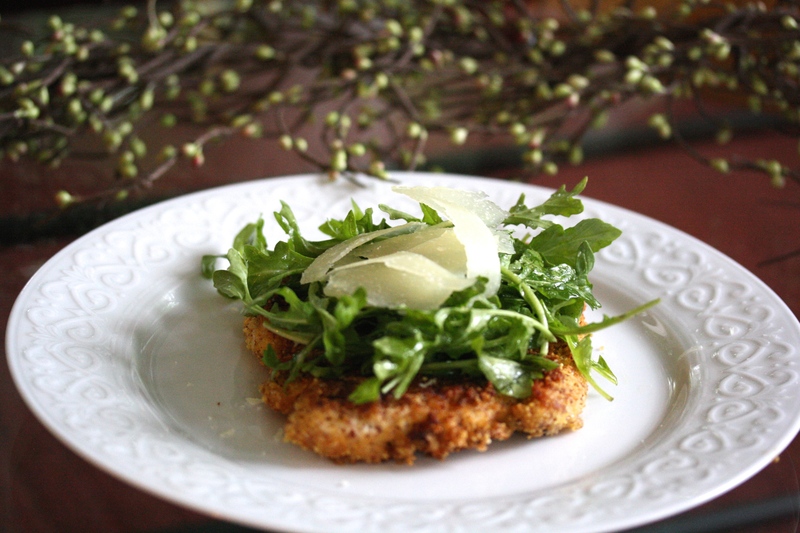 The second time I made them, we shared them with friends and got equally rave reviews. And a giant bonus is that they contain no dairy ingredients and are sweetened only lightly with honey. It’s one of those rare healthy-ish foods that doesn’t taste healthy. It’s also a flexible recipe and you can adjust the add-ins to your tastes. These are definite winners in my book! Preheat oven to 350 degrees. Line a baking sheet with parchment paper. Combine all dry ingredients in a bowl. Add the chocolate chips and cherries. In a separate bowl, stir honey, coconut oil and vanilla together (you may need to microwave for just a few seconds in order to get them to liquefy). Add the egg and whisk until combined. Stir the wet ingredients into the dry ingredients until thoroughly mixed. Scoop the cookies into tablespoon size balls and place on a cookie sheet. Gently flatten them with your hand. Bake for 15 minutes and cool for at least 5 minutes before enjoying. With Easter just two short weeks away, the Easter brunch/dinner menu planning frenzy is sure to begin for many of us. I think of Easter as sort of the official launch into spring cooking. We put the heavy casseroles and hearty stews behind us and welcome in a lighter, more colorful fare. 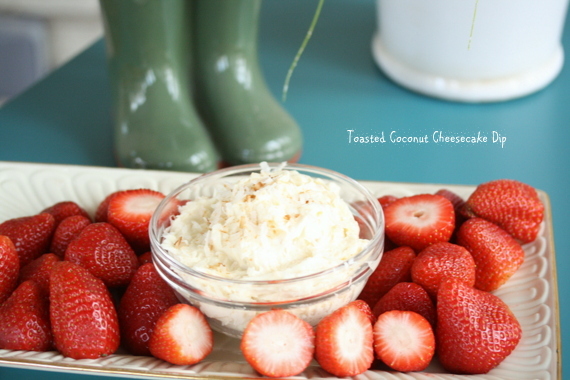 You may be thinking to yourself that I’ve lost my mind if I’m calling cheesecake dip “light,” but I served it with fresh strawberries, which totally cancels out the calories in the dip, right? Either way you look at it, I think this would make the perfect addition to your Easter brunch or could even serve as a light dessert for dinner. I added toasted coconut and coconut extract to mine, but because I knew that many of my readers aren’t huge coconut fans, I threw in a chocolate chip version as well. This recipe is incredibly flexible so don’t be bound by the ingredients on the page. In my book, you could almost add whatever you want to cheesecake and it would be delicious. 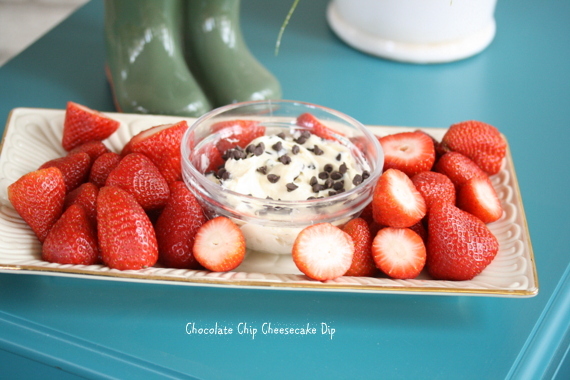 I paired mine with strawberries, but you could change up the fruits to your liking or serve it with graham crackers. See, I told you….very flexible, so it can fit into any menu. Happy Easter menu planning! In an electric mixer, beat together butter and cream cheese until smooth. Add powdered sugar, brown sugar and vanilla extract and beat on medium high speed until light and fluffy. If making the chocolate chip version, carefully stir in all but 2 Tbsp of the chocolate chips. 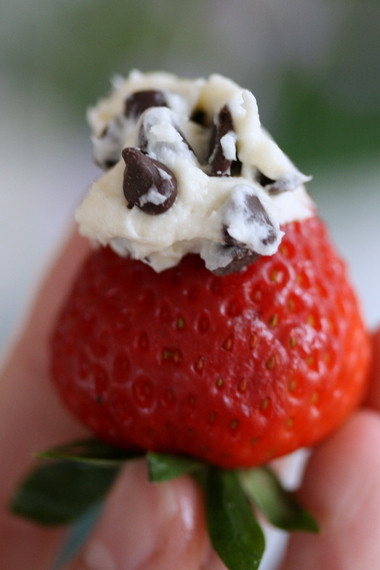 Place in a small serving bowl and sprinkle with remaining chocolate chips. 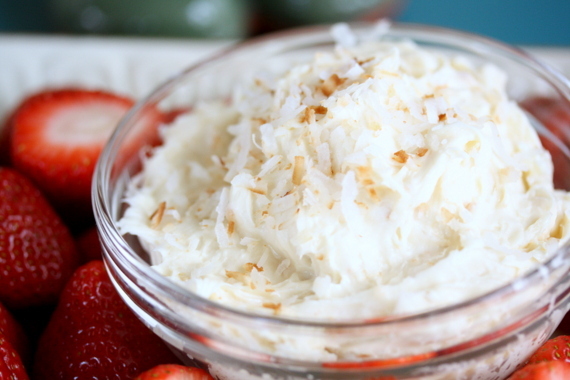 If making the toasted coconut version, stir in the coconut extract and all but 2 Tbsp of the toasted coconut. Put in a serving bowl and sprinkle with remaining coconut. 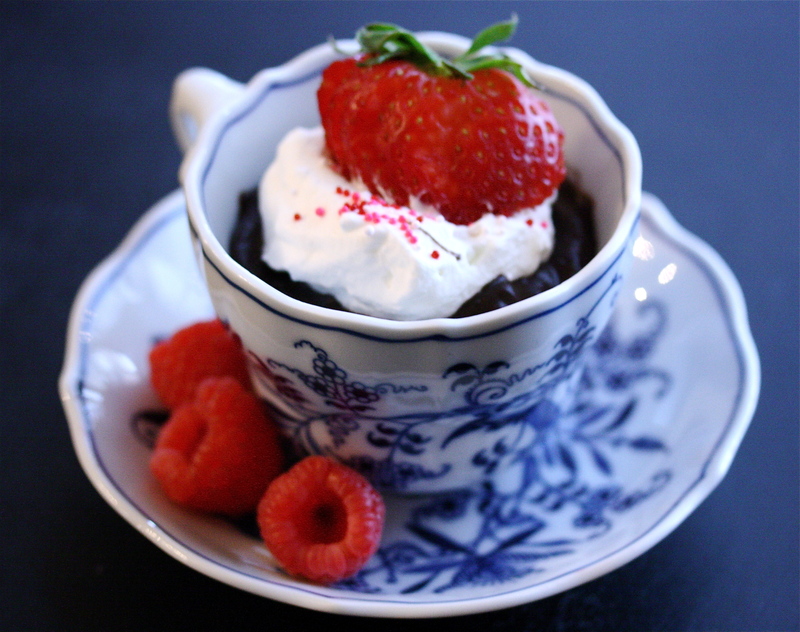 Enjoy with fruit or graham crackers. Last week, the “real feel” in the Midwest was -40 degrees F. I had a few appointments so I was forced to leave my house and within minutes my hands felt like I had been outside skiing for an entire day. It was FREEZING! And, while the temperatures have warmed up to a balmy 35 degrees (practically a tropical heat wave), I think my body is still thawing out because I feel the need for multiple hot beverages every day and a warm bowl of soup at night for dinner. I made this particular soup on Tuesday and it was hearty and spicy- everything you would want on a sub arctic type of day. The whole soup is packed with flavor since even the noodles are cooked in the rich broth. You could, however, certainly make extra soup for leftovers if you cook the noodles separately and only add them to the portion of soup you plan on eating. Otherwise, your noodles will continue to absorb liquid until they are a mushy mess. Saute sausage, onions, garlic and red pepper in grapeseed oil over medium heat. Break the sausage apart as it cooks. Once the sausage is browned and cooked through (about 6-8 minutes), add the wine and cook until it has evaporated. Add the tomatoes and break apart with a wooden spoon. Next, add the chicken broth. 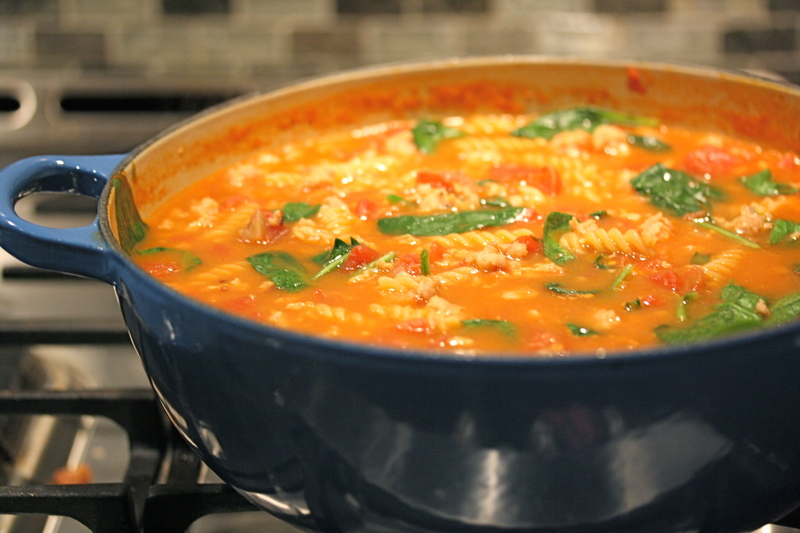 Bring the soup to a boil and add the pasta. Cook for 8-10 minutes until the pasta is al dente (Note: if you want to freeze part of the soup, skip this step and cook the pasta separately so you can add it as needed). 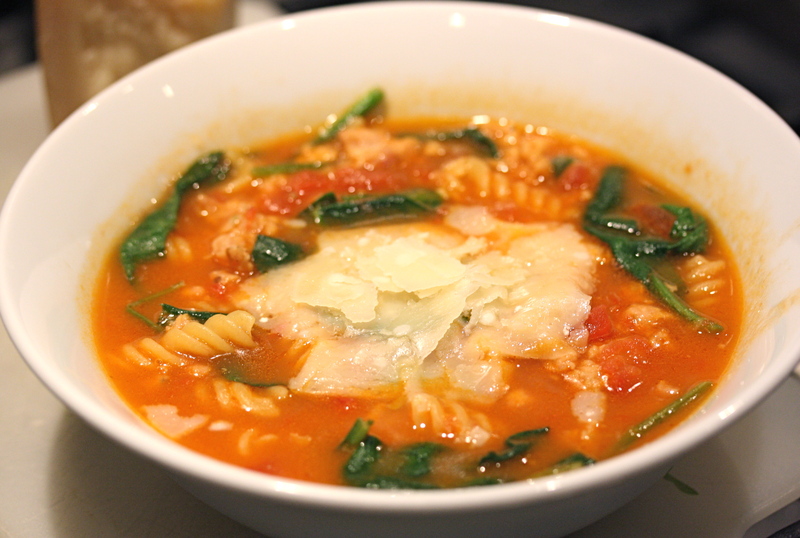 Once the pasta is cooked, turn off the heat and stir in the spinach just until wilted. Stir in the cheese and serve. Garnish with additional cheese as desired. Ok, I never thought I would say this, but I’m actually kind of getting sick of dessert. You know it’s bad when you ask your kids what they would like for a snack and the only thing they can come up with is “a treat” or “chocolate.” It’s definitely time to wind down off this 2 week sugar high. Ideally, I’d like my kids to eat fruits and vegetables as a snack, but sometimes it ‘s not convenient or, more often, it’s a battle I am too tired to fight. 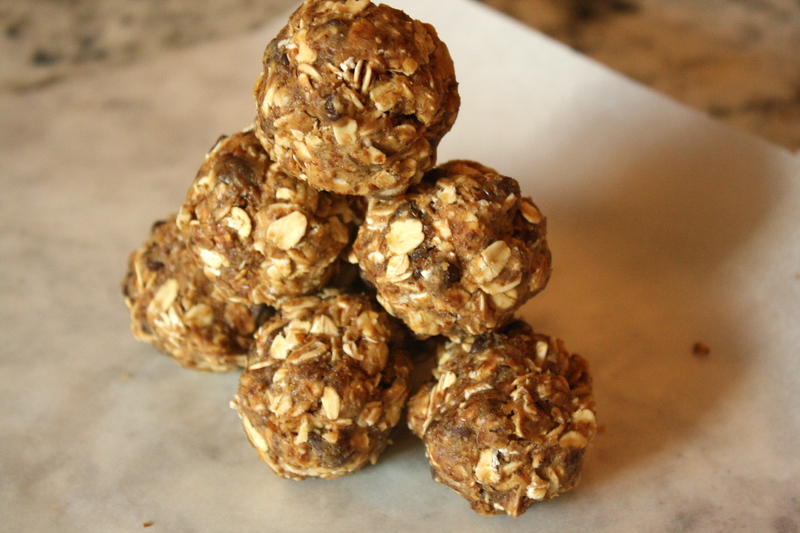 I’d rather keep away from overly processed snacks, however, so these power bites are the perfect compromise. Many of the ingredients are raw/unprocessed; they are packed with fiber and protein; and, best of all, my kids will actually eat them! They also make a great grab-on-the-go breakfast, so if your New Year’s resolution is to make healthier food choices, these are an ideal little bite to keep on hand for a quick meal or afternoon pick-me-up. 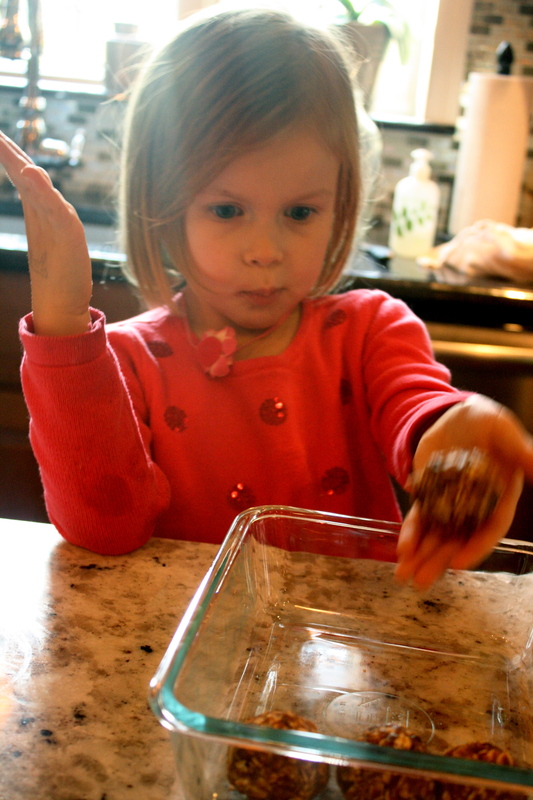 These power balls require no baking so I asked my sweet little helper to lend me a hand in the kitchen. I’ll let her demonstrate how it’s done. First, dump all the ingredients into a bowl. I warmed the liquid component just slightly to make it easier to stir. Next, thoroughly stir all of the ingredients together. The mixture should be very thick. 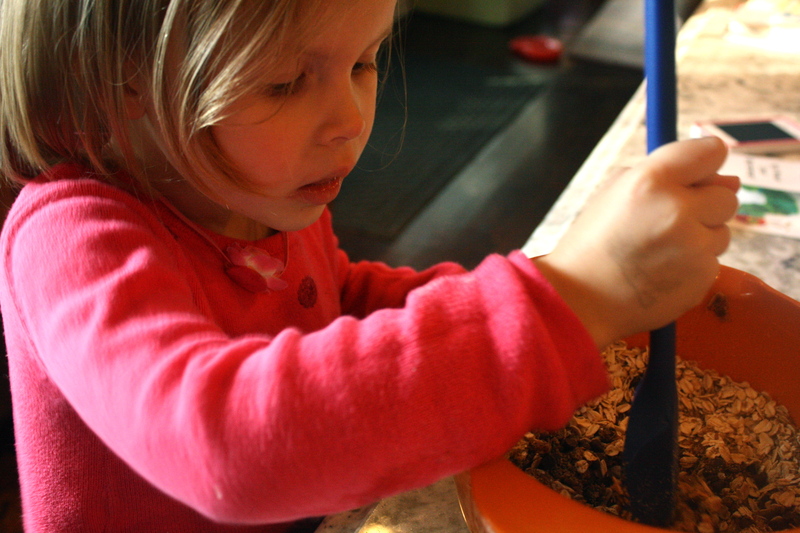 Using your hands, grab a small amount of the mixture and roll it into a ball. And, viola! Power bites complete! How easy is that? Place a layer of parchment paper in between each layer in your container and store in the fridge until you are ready to eat. Dump all the dry ingredients in a bowl and stir together. Add the peanut butter, vanilla and honey (warming very slightly) and stir until you have a thick, cohesive mixture. 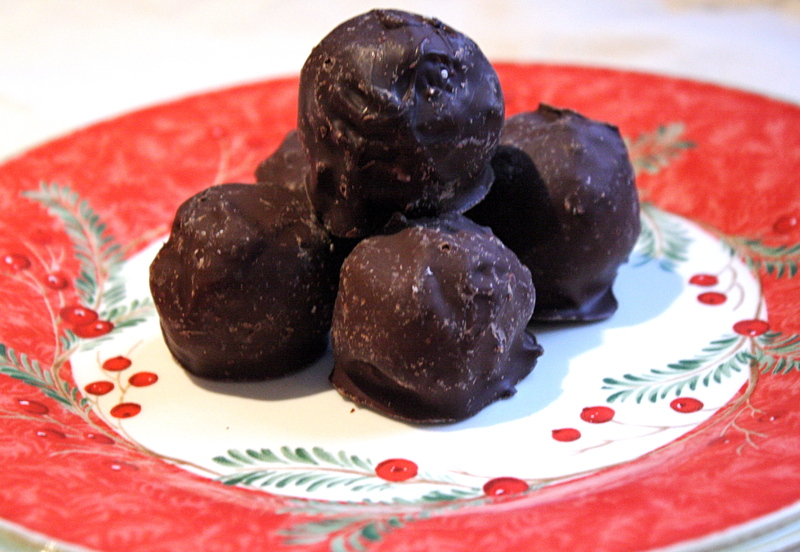 Roll mixture into tablespoon sized balls, using your hands. Store in the refrigerator until ready to eat. I kind of procrastinated big time on my holiday baking this year. Did anyone else feel like December was so short this year? I kept thinking, “I have plenty of time,” only to realize that Christmas is next week!!!! Consequently, I’ve been in a bit of a baking frenzy this week. Here are the things that made it onto my baking list this year. All of these recipes are new to me this year and I have to say, I’ve been very pleased with the the results! 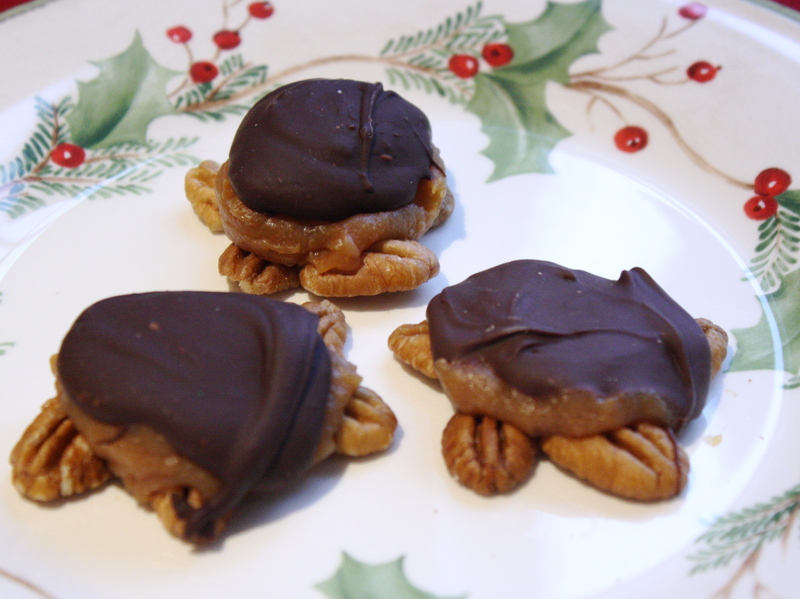 Turtles: I’ve made turtles before, but this year I wanted to make my own caramel that is corn syrup free. Try this recipe and substitute honey for the corn syrup. The honey gives the caramel a rich, unique flavor that compliments the caramel flavor perfectly. 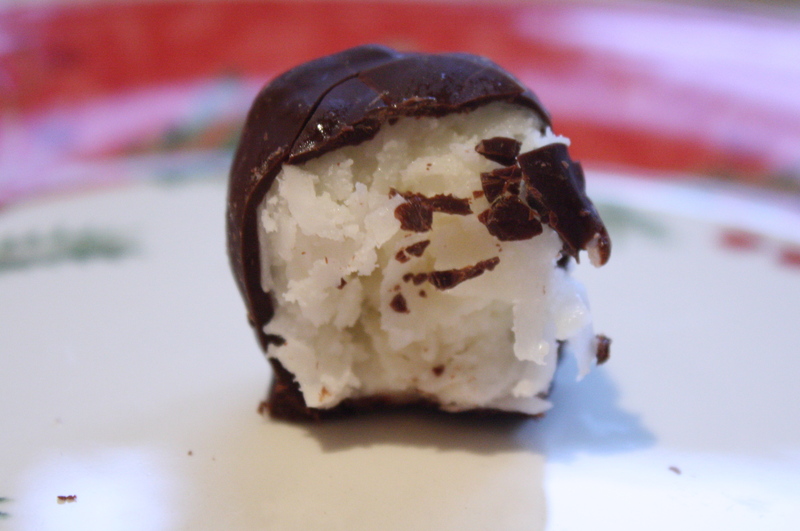 Chewy Coconut Truffles: There are seriously few flavor combinations I like better than coconut and chocolate. These truffles are delicious. 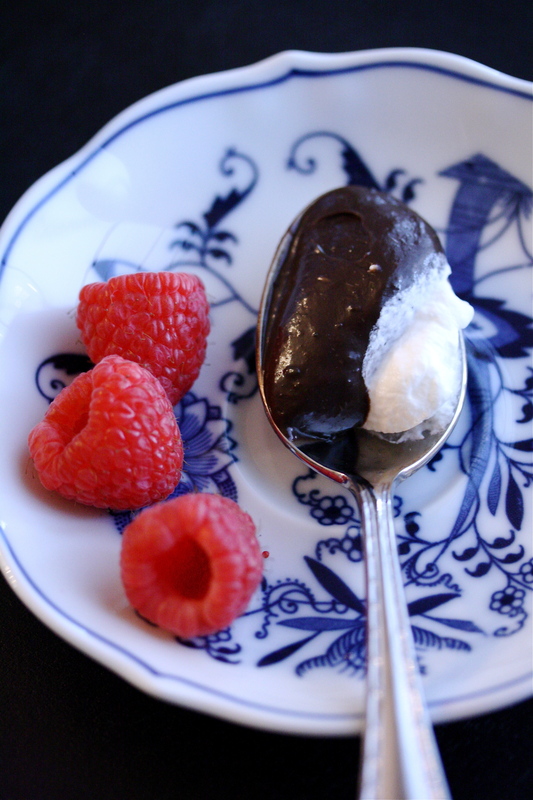 I followed the recipe, but substituted dark chocolate for the milk chocolate. The coconut filling is sweet, gooey, and moist. 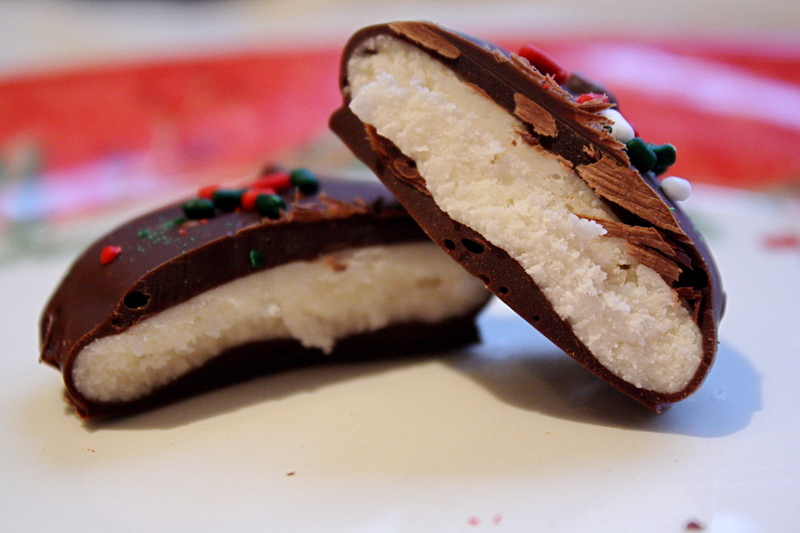 The dark chocolate coating takes it over the top, adding a slightly bitter note to compliment the sweetness of the coconut. I’ve have a hard time resisting these. 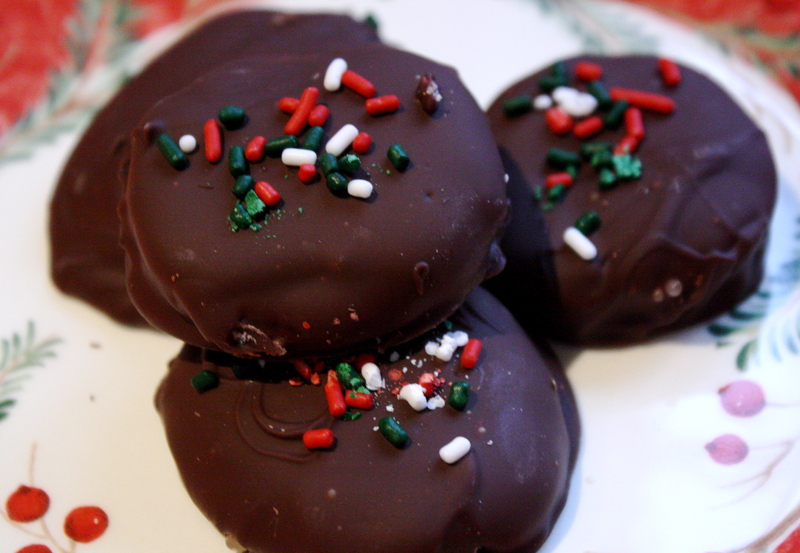 Peppermint Patties: I made these with my husband in mind and they definitely give York Peppermint Patties a run for their money. Not to mention, they are so pretty and festive. 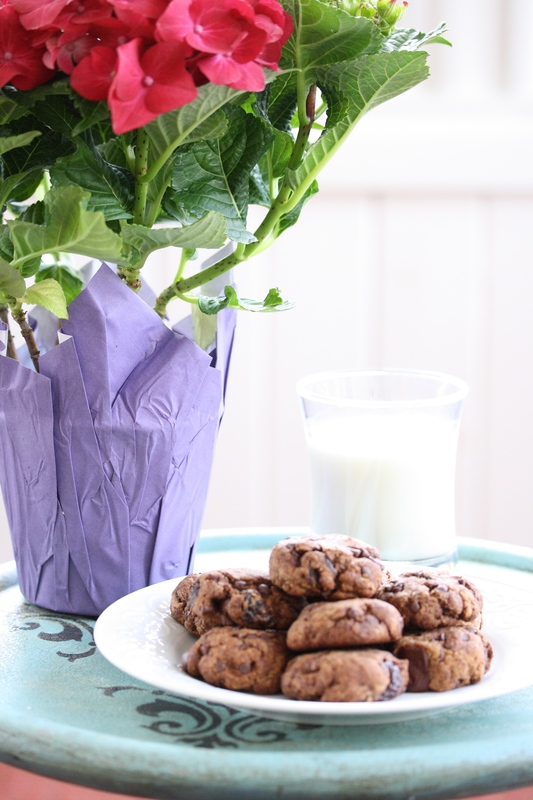 They make a tasty after-dinner treat or a thoughtful gift to wrap up and give away. 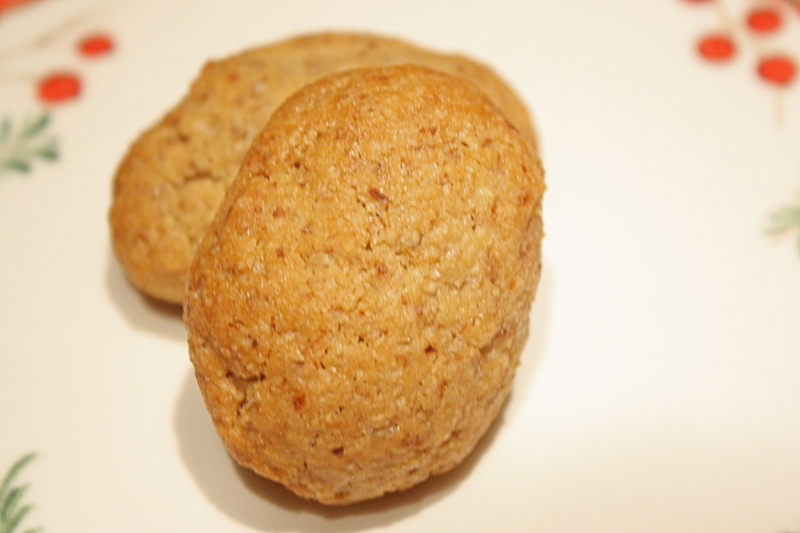 Italian Almond Cookies: I love that these cookies are naturally gluten free. They are sweet, nutty and wonderfully chewy. In my opinion they would be perfect with a cup of English Breakfast Tea. Hope this gives you a few new ideas for your own holiday baking. What is on your list this year? I’m hosting Thanksgiving at my house this year, and I don’t know about you, but I think it’s fun to add a more unique side to the mix of traditional fare usually served at a Thanksgiving feast. 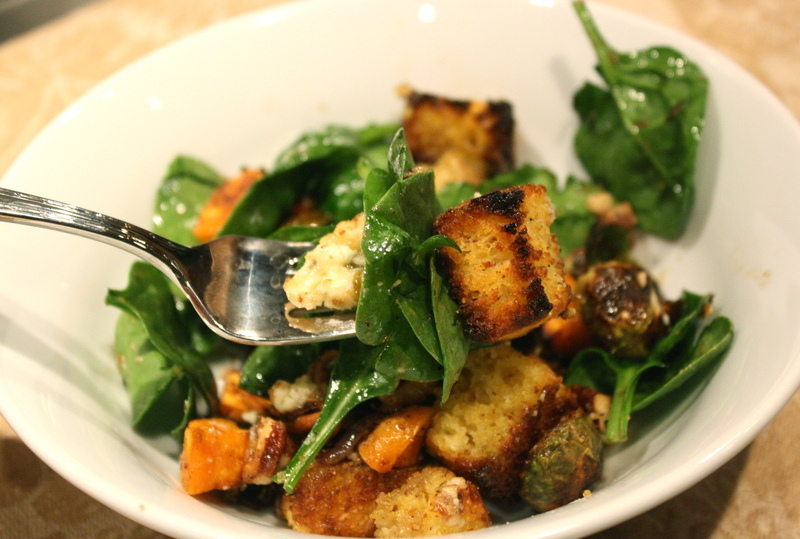 I threw together this salad recently and all I could think while I was eating it is that it pretty much embodies “fall in a bowl.” The jewel toned colors of the vegetables served warm over a bed of spinach and hearty cornbread is somehow both healthy and comforting at the same time. I think it would be the perfect addition to your holiday table and could even serve as a stuffing substitute for the more health conscious diner. Here’s to adding a little variety at your Thanksgiving table this year! This salad has three components that need to be made before assembling the salad. Start by making a simple cornbread. I’ve included a gluten free version in this recipe, but you could certainly make a regular version if you aren’t sensitive to gluten. Let the cornbread cool and then cube it and toss it with a few tablespoons of oil. Toast it in a 400 degree oven for 15 minutes or so. 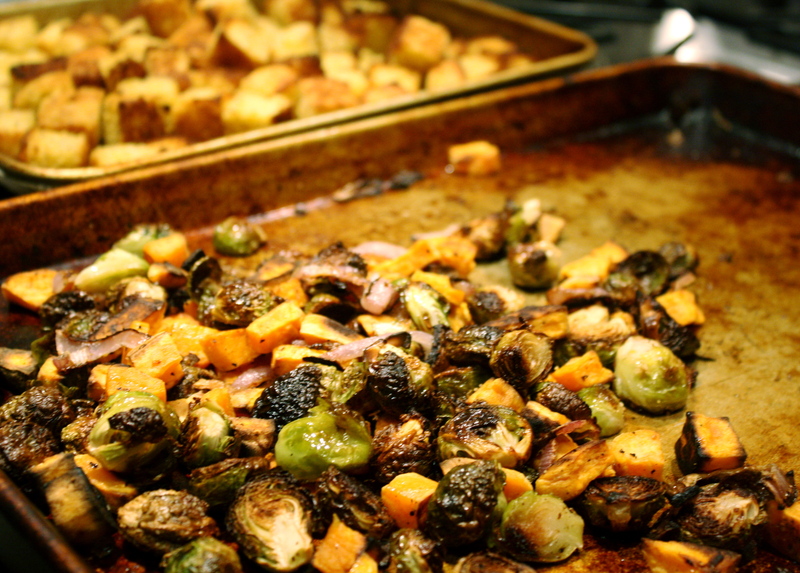 The second component is a mixture of root vegetables, red onions and brussels sprouts that are roasted until caramelized. Meanwhile, mix the ingredients for the salad’s vinaigrette. Once you have all the components, simply toss everything together with some gorgonzola cheese, sugared pecans and fresh spinach and drizzle with the vinaigrette. Preheat oven to 350˚. 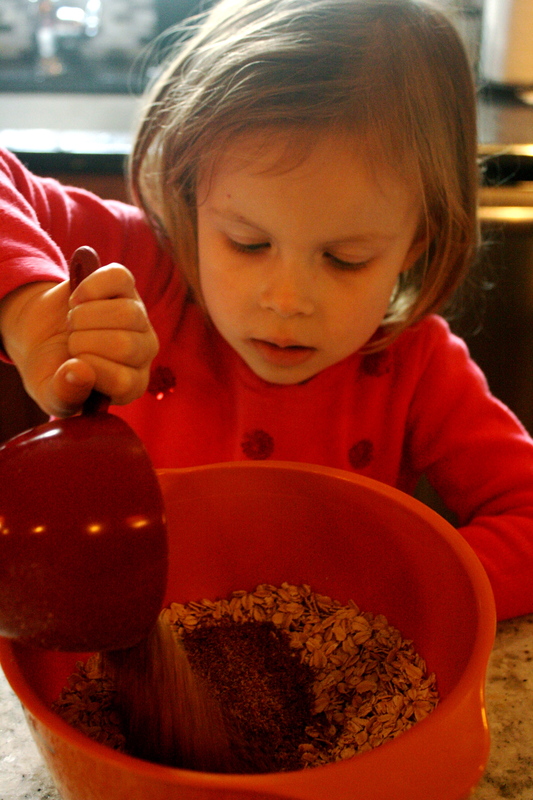 Combine flour, cornmeal, sugar, baking powder, and sea salt in a bowl. In a separate bowl, whisk together egg, butter and buttermilk. Pour into dry ingredients and stir until batter is just combined. 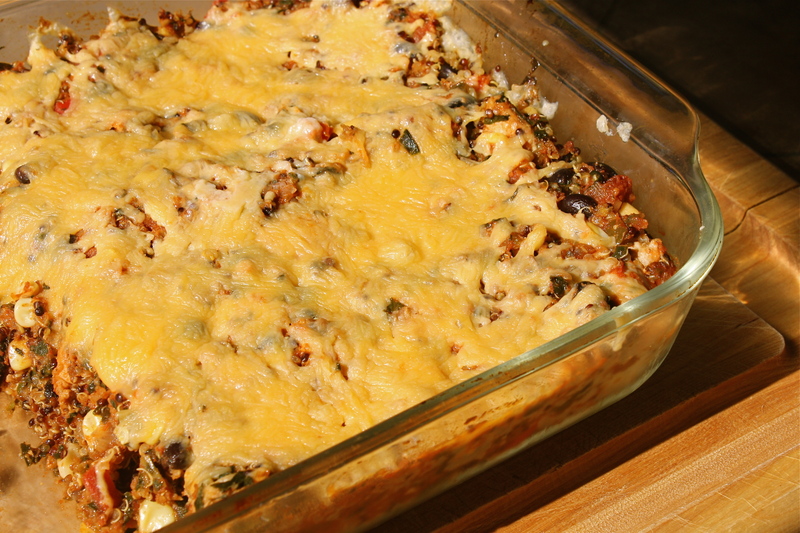 Pour into a greased 9″ square pan and bake until golden, about 20 min. Allow to cool. Cut cornbread into ½” cubes. Toss with 2 tbsp oil and place on a cookie sheet. Increase oven temperature to 400 degrees and toast the cornbread for 15 minutes, stirring halfway through. To roast vegetables, peel and cut sweet potatoes into ½” cubes. Toss with quartered brussels sprouts, onion, 1 tbsp oil, salt, and pepper. Place in the oven and roast until vegetables are tender and caramelized, about 30 minutes, tossing halfway through. Meanwhile, combine olive oil, balsamic vinegar, mustard, and maple syrup in a dressing carafe. Shake well until vinaigrette is combined. 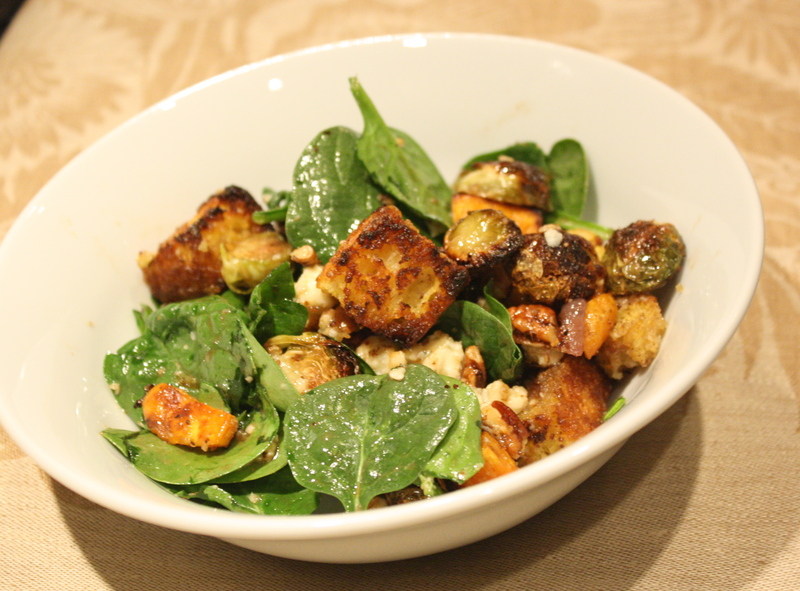 Toss roasted vegetables, toasted cornbread, spinach, pecans and gorgonzola cheese in a large bowl. Drizzle dressing on top and toss to coat. 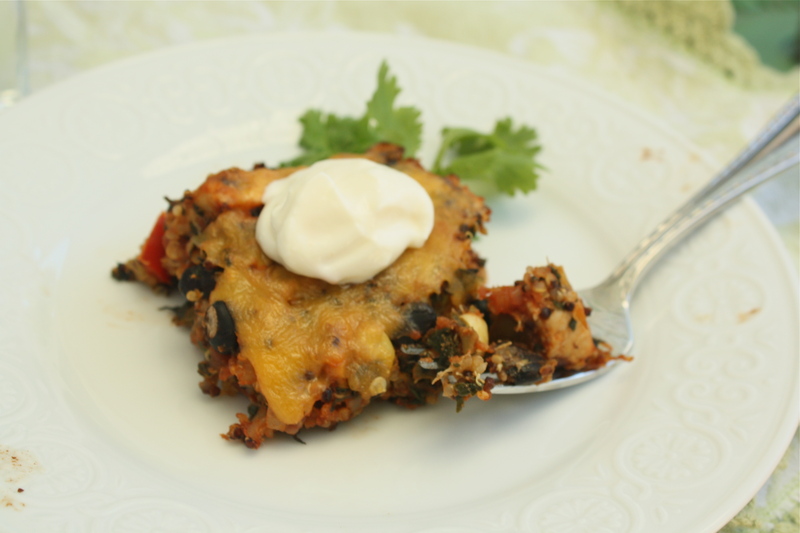 I love being able to add extra veggies into my meal by finding main dishes that incorporate them. A friend of mine sent me a link to this meal and I was immediately drawn to all the colorful veggies baked right in. It ended up being a real crowd pleaser and even my 2 year old daughter gobbled it up. The recipe also makes an enormous amount. We had enough for dinner, lunch the next day and some to freeze for later. That is my kind of meal! Preheat oven to 375 degrees. 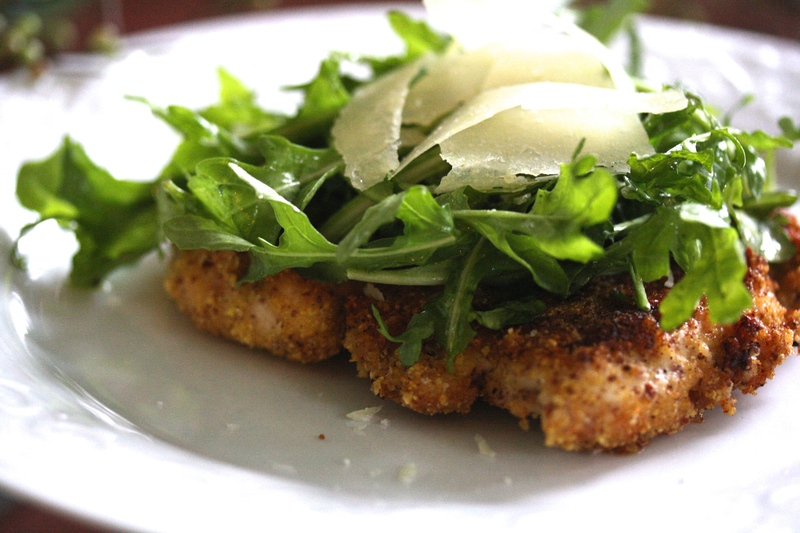 Cut the chicken breasts into small pieces. Saute in grapeseed oil, turning often, until browned on each side. Add onion and saute until softened, about five minutes. Add garlic and sauté for 1 minute. Add the bell pepper, corn and frozen spinach and combine well. Add tomato paste, cumin and salt and pepper and mix. Add the quinoa and black beans. Mix well. (If this gets too big for your skillet, you can transfer the mixture to a large bowl and add everything in that). Stir in chicken broth and salsa. Pour mixture into a greased 9×13 baking dish. Sprinkle the cheese over the top. Bake for 20-25 minutes. 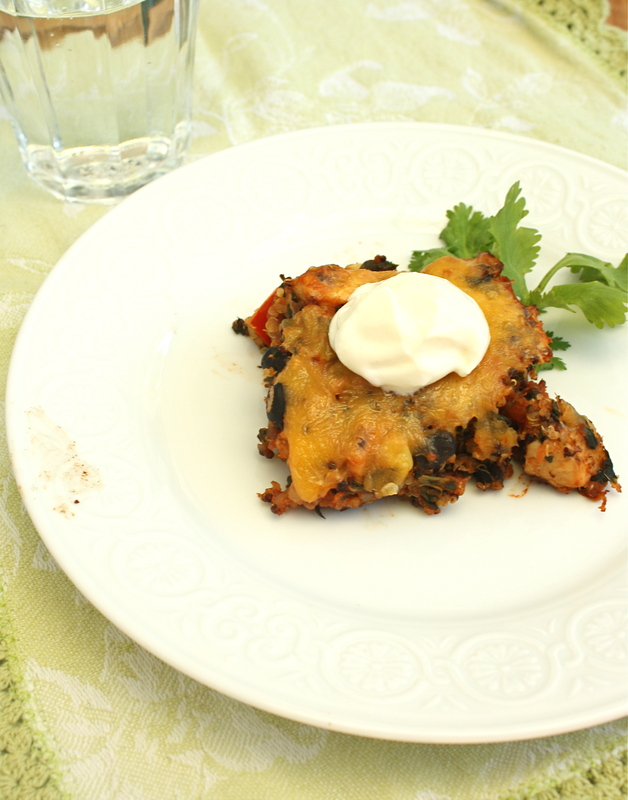 Serve warm with sour cream and cilantro.